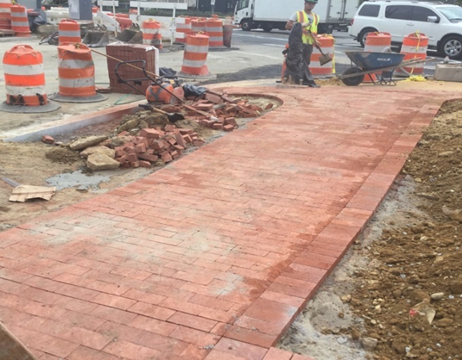 Capitol Paving of DC (the contractor) continued the work along Kennedy Street NW between Georgia Ave NW and North Capitol Street NW. 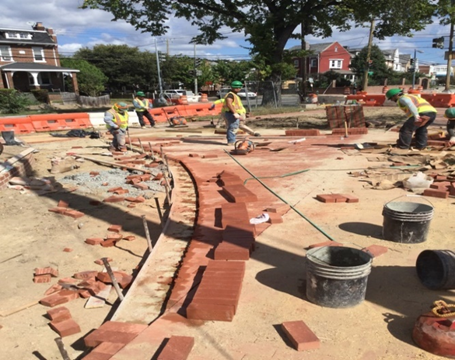 The contractor installed 189 square yards of brick sidewalk, 4 linear feet of circular curb, and poured about 19 square yards of permeable pavers. 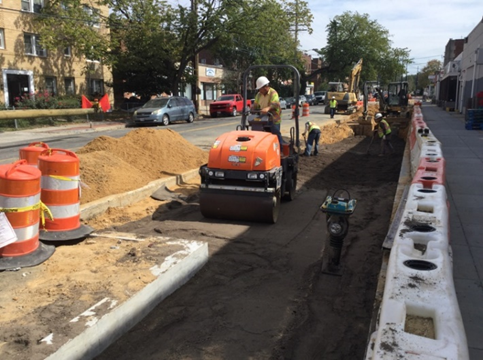 Capitol yards of Paving also continued work at 100 block for the bio-retention area, poured concrete for the seat walls at BR-C7 and BR-C5 and for the tree boxes at the north and south side of 100 block. 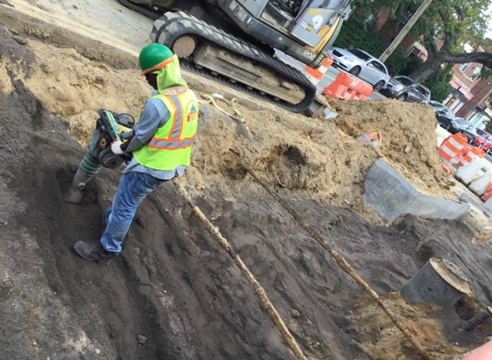 Jaxson Point (Capitol Paving’s sub-contractor) performed the electrical work by relocated five (5) traffic signal poles and five (5) street light’s poles. 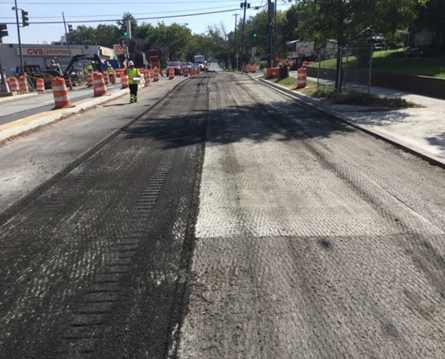 The sub-contractor (Fort Myer) continued milling and paving the Kennedy Street and Missouri Ave from Kansas Ave NW to 2nd street NW intersection. 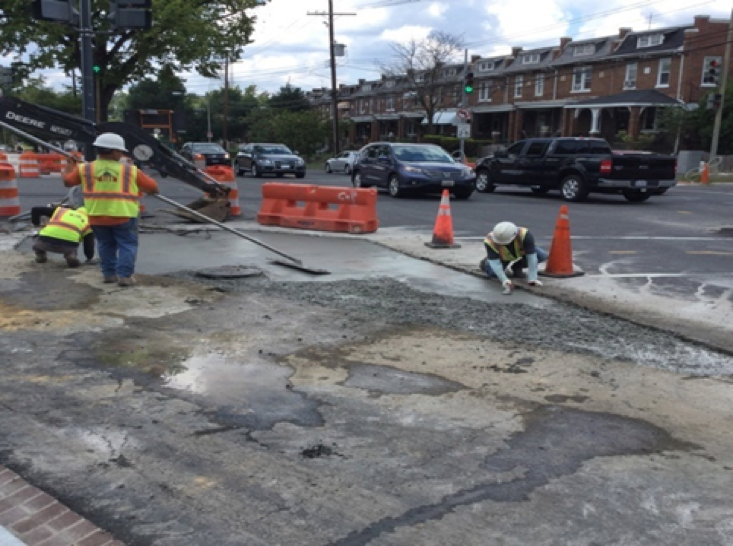 Capitol Paving of DC (the contractor) continued the work along Kennedy Street NW between Georgia Ave NW and North Capitol Street NW. 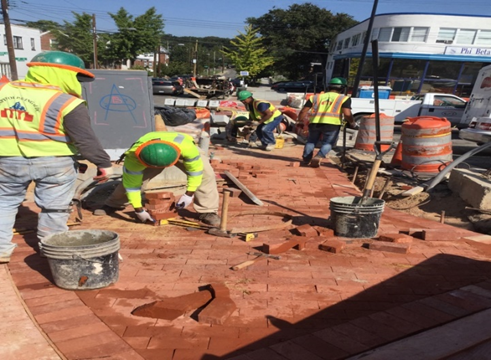 The contractor installed 26 square yards of brick sidewalk, 9 cubic yards of driveway entrance, 67 linear feet of straight granite curb and 48 linear feet of circular curb, 130 square feet of brick gutter and poured two (2) wheelchair ramps. 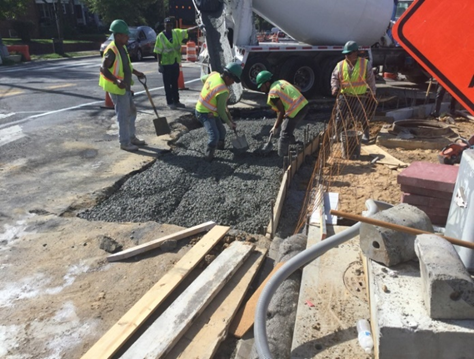 Capitol Paving also continued work at 100 block for the bio-retention area, poured concrete for the seat walls at BR-C7 and BR-C5 and installed waterproofing membrane. 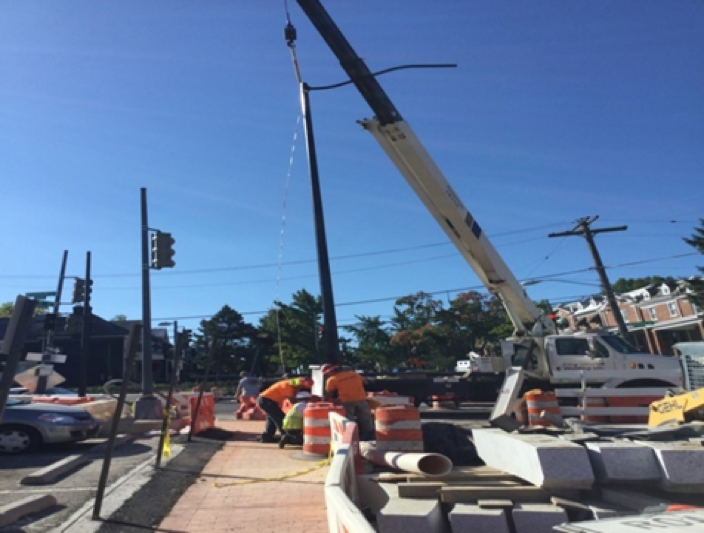 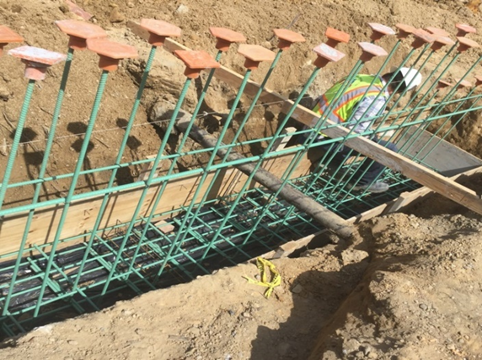 Jaxson Point (Capitol Paving’s sub-contractor) performed the electrical work by relocated one (1) temp traffic light concrete base and removed one (1) Street Light Pole Foundation.